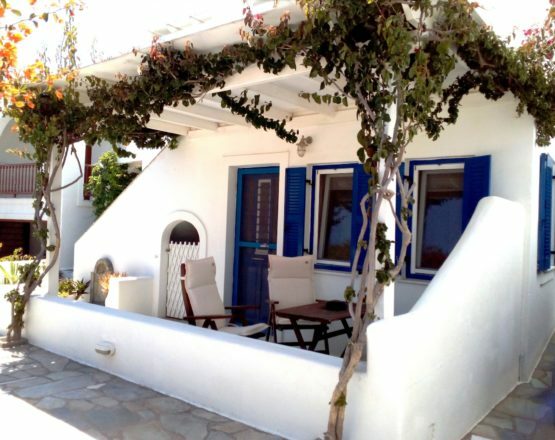 Volossirakis, on Paros Greece, is a family-run holiday accommodation offering self-catering studios and apartments for 2 to 4 guests. 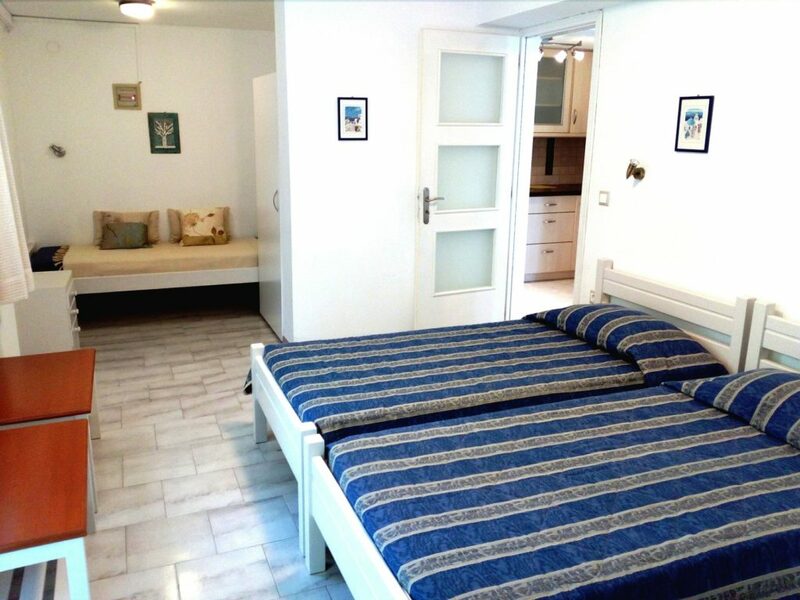 Amenities include: satellite TV, WiFi, balcony, air-conditioning an a traditional courtyard with BBQ facilities. 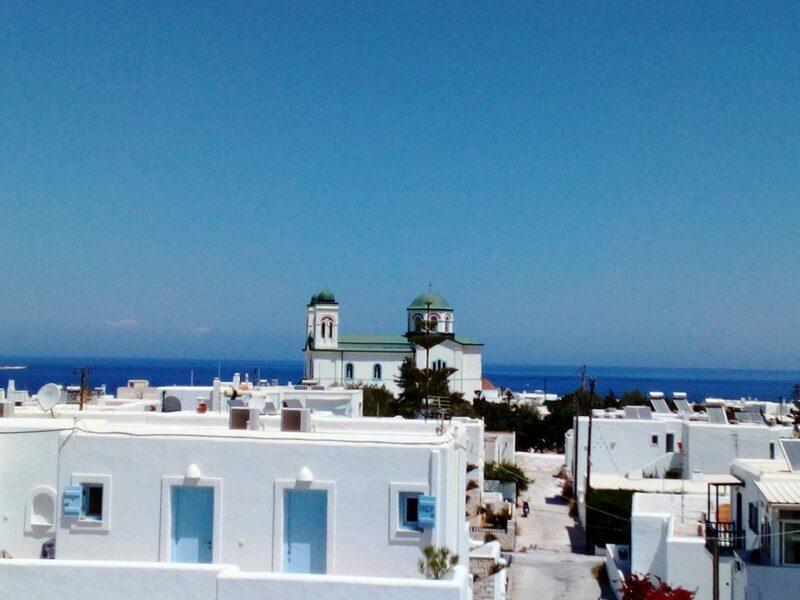 Located in Naoussa, Volossirakis Rooms affords panoramic views of the village and the bay of Naoussa beyond. 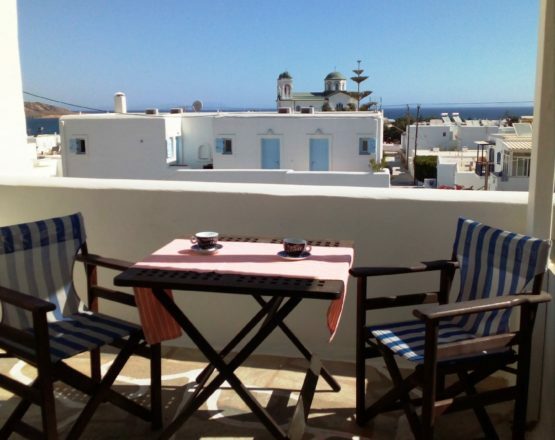 The beach and the harbour are only a five-minute walk away and there are shops and restaurants close by the premises. 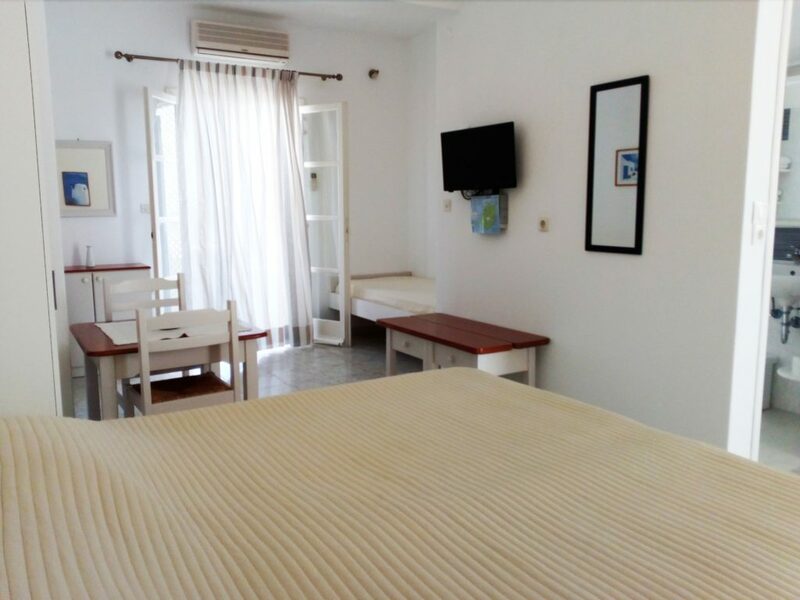 • Discounts apply for long stays. 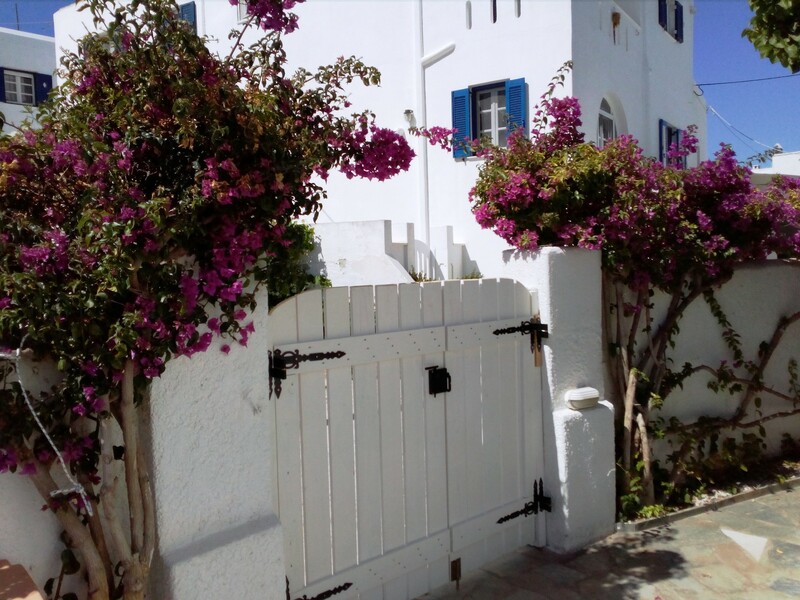 Guests staying at Volossirakis accommodation on Paros, Greece, may choose between 1st floor studios for 2-4 guests and apartments for 3-4 guests, opening to a pergola- covered balcony, looking out over the village of Naoussa, out to the bay. 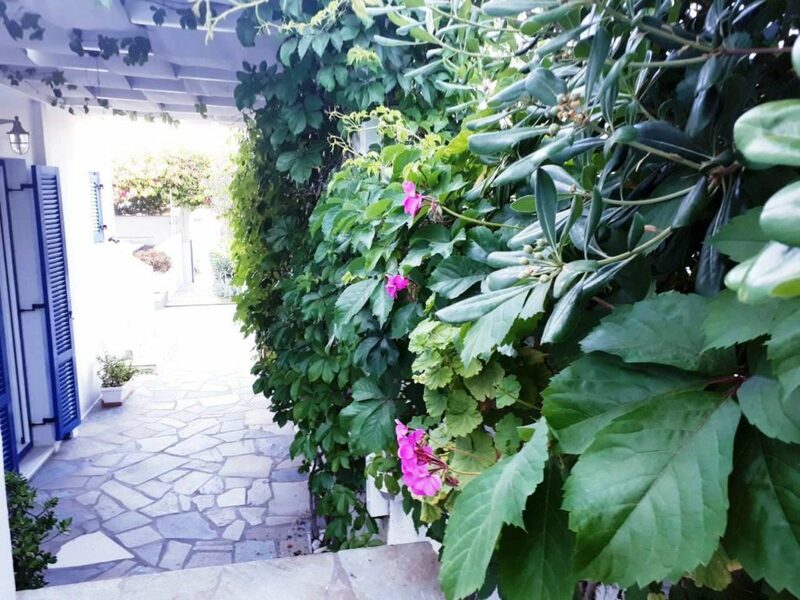 On the ground floor, the cool Studios for 2 open to a shaded terrace and have immediate access to the courtyard, where the communal sitting/dining areas are located. 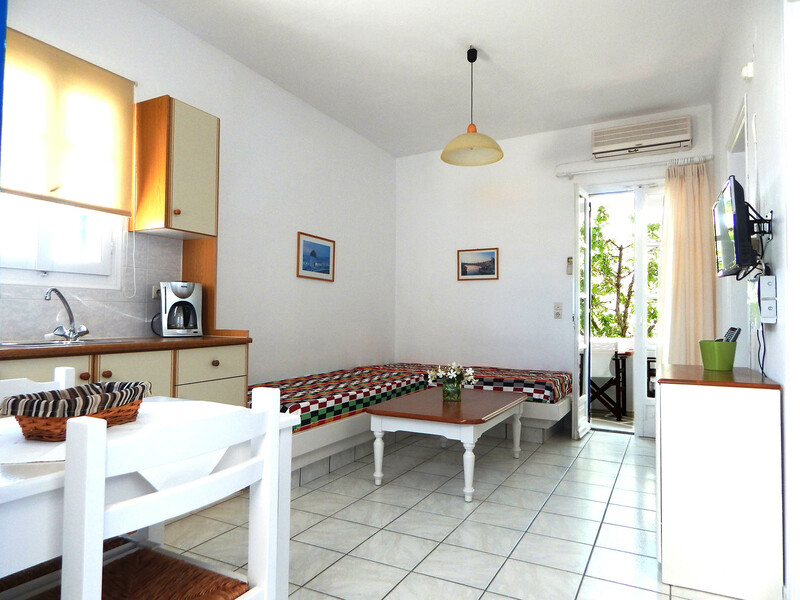 Feel free to use the barbecue facilities to prepare your own meals. 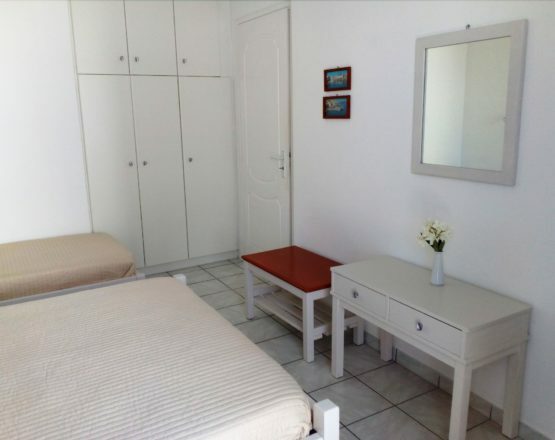 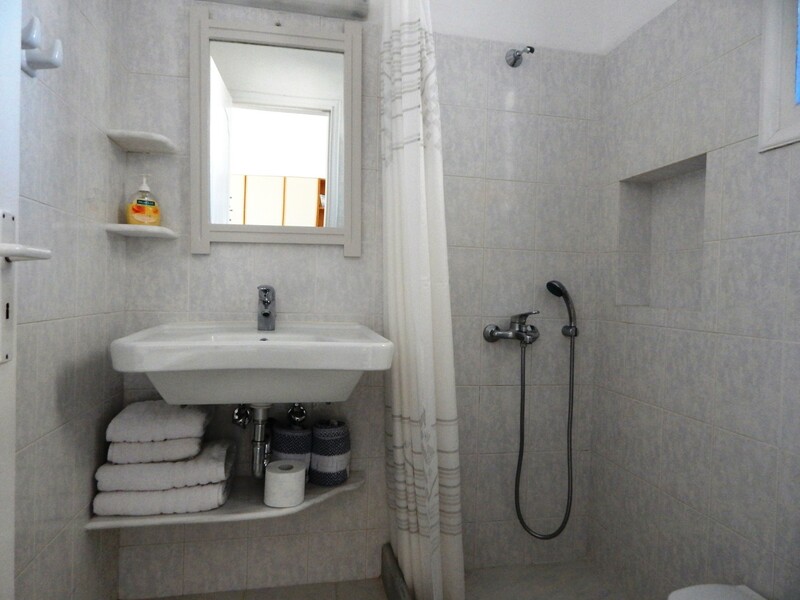 All of our studios & 2-room apartments have shower bathroom, refrigerator, kitchenette, dining corner, air-conditioning, central heating, satellite TV (with more than 500 channels). 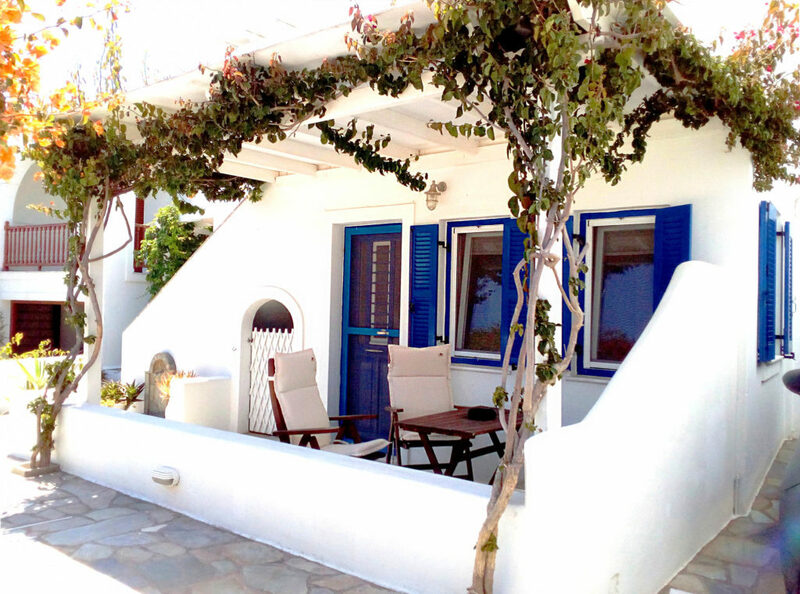 WiFi is available in all rooms & outdoor spaces. 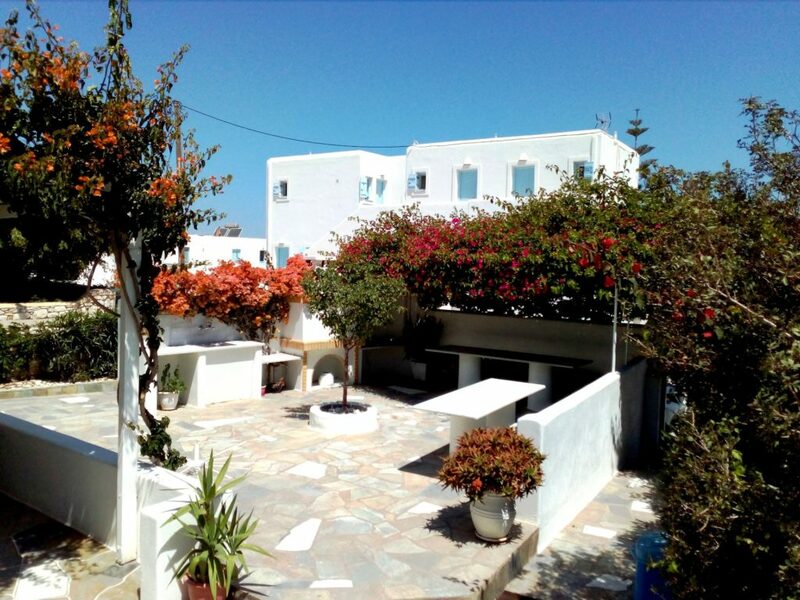 The Volossirakis family, often organizes Greek-style BBQ nights where all the guests are invited! 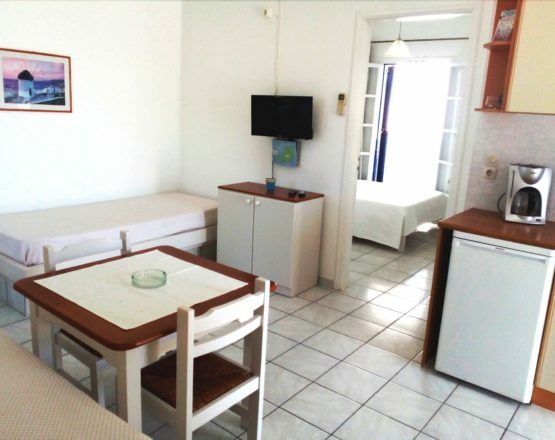 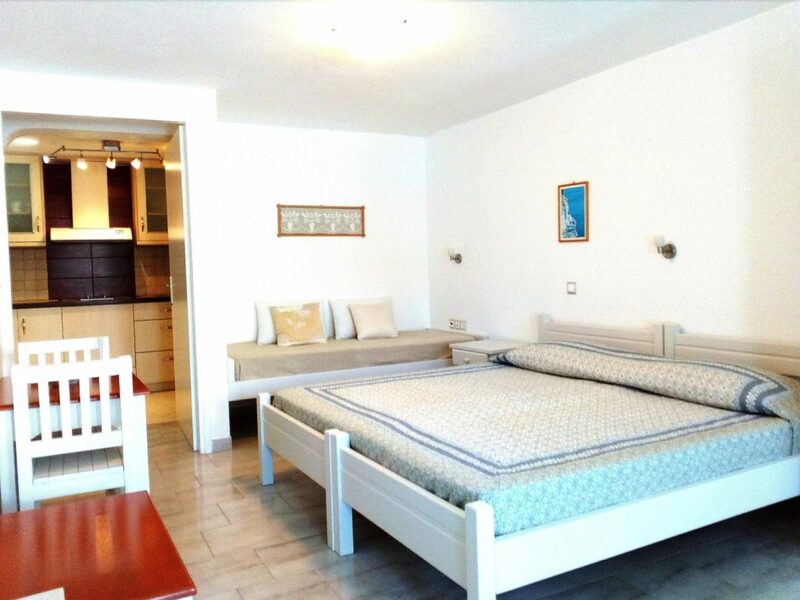 Volossirakis accommodation is a few-minutes’ walk from the village center, the Venetian port and the beach of Agii Anargiri.